In the second taping of The Pipeline podcast, we discuss the customer stories mentioned at the Boston event, the tight security and Salesforce's push of Trailhead. BOSTON -- Integrating artificial intelligence in the form of Einstein lead scoring and marketing personalization, CRM applications of the internet of things, and delivering better customer experience through mobile apps were top of mind at Salesforce's Boston World Tour stop at the Hynes Convention Center. Trailhead, Salesforce's free learning platform for training those in the industry to become more competent Salesforce developers or administrators, was also a recurring theme at Salesforce World Tour Boston, a one-day event that featured breakout sessions, customer stories and roadmaps on Salesforce's various products. During the main keynote, in the middle of what was made to look like a campsite in the Salesforce Trailhead National Parks motif, Salesforce COO Keith Block championed the growth of Trailhead and the advancement of AI in the business processes. Block specifically touched on Einstein, Salesforce's platform-wide AI upgrade, which has been rolled out into most of its products. "Companies are being disrupted and new business processes are being established [because of AI]," Block said. "The game has changed -- it's a disrupt or be disrupted world. Not a single industry is immune to this fourth industrial revolution." In addition to heavy security that was reminiscent of Marathon Monday, Salesforce World Tour Boston also featured several customer stories, including how Farmers Insurance has been using Salesforce products over the past five years, how the clothing company ECCO has used Salesforce's new Commerce Cloud to its advantage, and how Harvard University is improving the student experience and faculty and advisor communication through Salesforce. 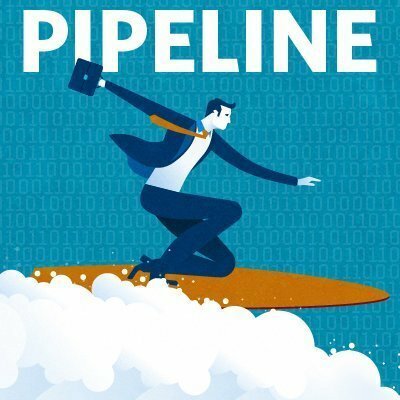 We recorded this edition of The Pipeline on site at Salesforce World Tour Boston, breaking down the news and highlights, as well as passing along the scuttlebutt we heard in the halls from Salesforce, vendors and customers. What were your takeaways from Salesforce World Tour Boston? We (www.enosix.com) were exhibiting at the Boston World Tour. It was a great experience for us - being the only specialized SAP & Salesforce integration vendor. Looking forward to the Chicago World Tour in a few days!